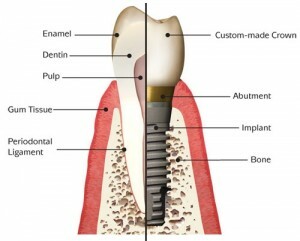 Thinking of getting dental implants in Portsmouth, VA? The following guide lists the top 10 dental clinics as well as what you can expect to pay for a dental implant in Portsmouth. Click on the profile of a dentist near you to read more about them. Here are some examples of how much people have paid for dental implants in Virginia. The LWSS team approach assures your involvement in every dental decision, from determining your needs, to establishing a dental care plan. Our commitment is to provide you the highest standard of personalized dental care with a gentle, efficient and professional manner. We trust you will find the atmosphere calming, the staff friendly and LWSS dental services exceptional. Dr. Krochmal is a leading authority in Hampton Roads and Virginia for the specialty of Oral and Maxillofacial Surgery. He has served as President and Executive Council Member of the Virginia Society of Oral and Maxillofacial Surgeons; President of the Tidewater Dental Association; on the Board of Directors of the Virginia Dental Association for 10 years; and remains active in national, state and local dental and oral surgery societies. Gentle, friendly, professional and modern dental care and dentistry provided by experienced and caring doctors and staff. Emergencies seen same day. We create beautiful smiles. Insurances accepted.